I’ve been listening to a series of talks by Dr John MacArthur, which he gave to the students of the Masters College, California. In there, he outlines the Biblical characteristics that must characterise a Christian church, and, in all honesty, I felt sad as I realised once again how short the body of Christ falls of it’s Architect’s standards and, ultimately, intentions. Why? Because then it simply cannot go wrong; an attitude like that will inevitably and drastically affect that church’s life, outlook and, naturally, ministry. Interestingly (for this day and age), Dr MacArthur doesn’t bother with church style, which he refers to as “seductive”. Time and again in this blog I have argued that the main problem of Christianity today is not that it doesn’t try to appeal to the world (I doubt there is anyone who would say that), but that it has a growing, fundamentally wrong view and attitude of what it is to be a Christian. In 2 Cor. 5:14-15, the apostle Paul tells us that if we call ourselves Christians, then that should be the last thing we should do for ourselves; we have died, he writes, and have risen together with Christ into a new life and a new nature – therefore we cannot live for ourselves, because our lives are not ours anymore. They belong to God through Christ, and we are to live with Him in the throne and not ourselves like we used to before we were saved. Otherwise, what exactly were we saved from? Shocking? Appalling? Then that explains why the Church today is in such an awful state: We say that we are Christians, we say that we believe, but in reality a lot of us can’t see much relevance in the whole thing. No “inspiration”, as someone put it to me. Why? Allow me to suggest that it is because we seek a Christian life that has ourselves in the centre rather than Christ. And when, unsurprisingly, we feel as empty as we always did, we try to get our kicks by creating new “Christian” fashions, bands, music, clubs, activities, techniques, styles, fads and trends. We long for some kind of thrill that will justify our bland “Christianity” and make us feel better. And meanwhile, we lose the battle, and become the laughing stock of the world – not because we glorify God with our obedience and faithfulness (Mat. 5:11), but because we demean Him with our selfishness and apathy. Look at the early Church, and you will see a pattern emerging that has been true throughout the centuries: First comes the early Church; the exciting beginning, the new adventure. Miracles happen as the apostles confirm the Gospel to the world and the message spreads like wildfire throughout the Roman Empire. People from all walks of life and all kinds of religious background come to repentance in Christ and are saved – born again into the new life. But the price is high: Loss of belongings, social alienation, divorces and even martyrdom under the psychopathic emperor Nero. Then comes the second generation: Churches have now been established, and while missionary work is still being done, the Christians need to grow spiritually – this is where doctrine comes in. The apostles take on the role of teachers initially, and proclaim the entire revelation of God to the Church (the Bible was not complete yet). Paul, for example, spent three years in Ephesus teaching the church there, and in the end was able to state that he declared to them the whole counsel of God (Acts 20:27). But as the apostles were involved mostly in missionary work, the Holy Spirit gifted teachers within the churches to continue feeding the flock (1 Cor. 12:28). But, unfortunately, with them come deceivers: false teachers who, either out greed or ignorance, try to corrupt the pure teachings of the apostles. And so the battle begins for discernment of God’s truth from mens’ lies and has raged ever since. 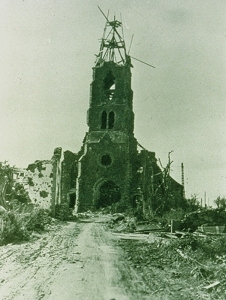 Notice that up to now, there has always been a fight associated with the Church – sacrifice is synonymous to being a Christian. But then appears the third generation of the Church; those for whom the body of Christ has cost nothing, and thus have no sense of its value. They are, to use MacArthur’s terminology, the apathetic generation. They don’t see what the whole fuss is about; sermons are too long, the songs are not cool enough, the rooms are too hot or too cold, the seats are too hard… you know what I’m talking about. And, surprisingly, the New Testament hadn’t been finished before this third generation of spiritual rich-kids appeared. Look at Revelation 2:1-7. The wonderful church at Ephesus, still fresh from Paul’s own teaching, and yet the Lord Himself accuses her of losing her “first love”. Look at the churches of Sardis (3:1-6) and Laodicea (3:14-21): Spiritually dead and lukewarm respectively, and I suspect that it all started when at some point they lost their high view of God, Christ and God’s Word. And here we are today, the fat, plump, spoiled, apathetic third generation of the Church. Look at our pathetic attempts to make Jesus appealing to the outside world and ourselves. We are cold, dead, lukewarm, dry bones in desperate need of life. Sometimes I think that Satan, in all his cunningness, realised that he couldn’t ruin the Church through persecution (quite the opposite, actually), so he changed his tune and showered it with acceptance and political correctness. The result? Being a Christian today (in the West, at least) mostly costs nothing. And everyone knows that no cost means no value. Isn’t it time to throw aside all the rubbish we have accumulated on the Church today? Is it not time to wake up and see how little precious time we have left? Peter writes “for the time has come for judgment to begin at the house of God” (1 Peter 4:17), and I can’t help but think about that when I hear about outrages like that of former megachurch pastor Ted Haggard; and yet, I think exactly the same when I hear “hymns” full of tune and devoid of content, “talks” full of words and not of God, and “Christians” full of their own needs than those of the Kingdom (Mat. 6:33). How far away we have fallen from the role that God wants us to fulfil (1 Peter 2:9)! The Church is here to strengthen and discipline believers by God’s Word, and to be a micrography of Heaven on earth. The responsibility is enormous, but we are taking it so lightly, that I fear the Lord will have to do some serious purging of His future Bride in order to present her spotless and without fault (Eph. 5:27). It is my prayer that we will listen, repent and return to that necessary high view of God, Christ and the Word. Without that at the core of our existence, we will fail. May the Lord help us not to. 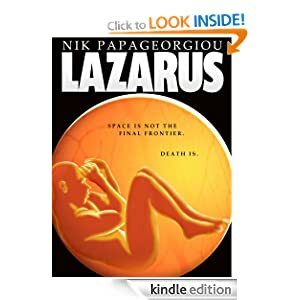 ← "Lazarus" abridged – and in graphic format!! !